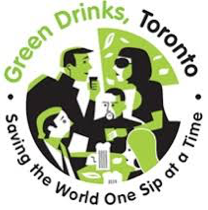 Green Drinks Toronto and Canada Green Building Council - Greater Toronto Chapter (CaGBC-GTC) are hosting Earth Week Party 2018, a networking event for environmental leaders and green building professionals. The event will take place at The Rock 'n' Horse Saloon, on Wednesday, April 18th from 6:00 pm to 9:30 pm. Ticket includes one drink, bull rides, line dancing, light snacks and a ton of fun. Prices are as follows: $25 for Adults $10 for Emerging Green Professionals. Be sure to register soon, as this event frequently sells out!